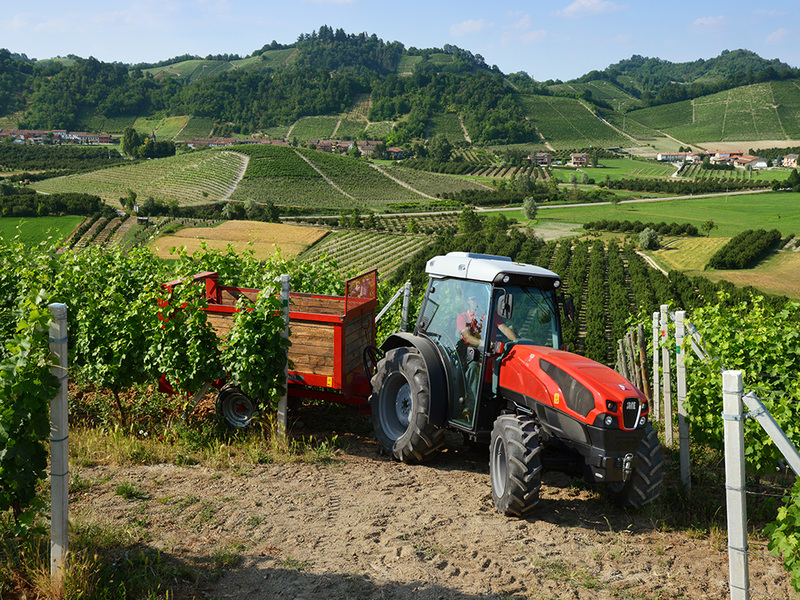 The new Frutteto is the ideal machine for orchards with wide planting density, and the structure of the tractor also renders it suitable for work in the open field. This special machine is remarkable for its compact size, incredibly small turning circle and exceptional manoeuvrability. Available in a wide range of configurations, with cab or roll-bar and platform (again, specifically designed to fit the selected tyres) and with mechanical controls or electronically-controlled rear linkage and hydraulic distributors. In short, efficiency, manoeuvrability and comfort have been given top priority in the design of the Frutteto, to enable professionals to further improve their productivity. So much power and advanced technology ... in such a small package! Frutteto machines are fitted with the optimised unit cylinder with a capacity of 962 cm³, and are available in the compact 3-cylinder version, with a focus on manoeuvrability, and the high-powered 4-cylinder version, with enhanced traction. The power of these tractors ranges from 75 to 113 hp - the maximum available today for specialised tractors. The new Frutteto tractors comply with Stage 3B (Tier 4 Interim) standards on anti-pollution devices only when the DOC catalytic converter is applied, requiring neither maintenance nor additional fuel for periodic regeneration. The electronically-controlled 2000 bar Common Rail fuel injection system has brought a number of key benefits in terms of torque delivery and power dynamics, simultaneously reducing fuel consumption. And to ensure precise and consistent operation, the engine's electronic controls allows for the pre-set, memorised engine speed to be maintained, even as the load varies. Compact wheelbase, high steering angle, low centre of gravity, excellent adherence to the ground, high manoeuvrability, accurate weight distribution and all-wheel drive with electro-hydraulic engagement. This formidable "package" of features enables Frutteto tractors to operate effectively, working on even the roughest terrain without hesitation. The gearbox, which features 3 gears and 5 speed ranges, ensures increased versatility and improved efficiency, enhanced by the extensive possibilities for configuration. Indeed, the combinations available range from 30+15 ratio mechanical versions (with super-creeper and synchronised mechanical reverse shuttle as standard) to the version with 3 Powershift ratios (and electro-hydraulic shuttle), which brings the number of ratios for each driving direction to an amazing 45. In conjunction with the electro-hydraulic shuttle, the "Stop & Go" function is also provided as standard - particularly useful when coupling equipment to the machine and during hill starts. With two or three speed Powershift gearboxes, the operator can change gear without needing to press the traditional clutch pedal, using the comfortable, convenient Comfort Clutch, the clutch button ergonomically located on the gear lever itself. The Frutteto gearboxes also offer an Overspeed function, for travelling at 40 km/h whilst maintaining a reduced , more economical engine speed. All the power you need. It's just the thing for me! Today, all specialised tractors must be equipped with a high-performance hydraulic system, in order to allow full use of equipment which requires high hydraulic flow, without compromising on lifting capacity and progressive steering. For this reason, all models of the Frutteto are equipped with a double tandem pump, along with a wide choice with regard to the number and position of rear and central distributors (6 and 4 couplers respectively), which in turn may be fitted with a separate flow regulator. In addition, all arms and tie rods are designed with great care, so that the rear linkage (whether mechanical or electronic) can handle even the heaviest equipment without hesitation, with the same applying to its first-class lifting capacity of 2800 kg. A 1500 kg front lift is also available on request, in combination with the 1000 rpm front PTO. The rear PTO (with 4-plate wet clutch) can operate at all four speeds typical of speciality tractors, or rather 540/1000/540 ECO and synchronised, the latter of which is optional. 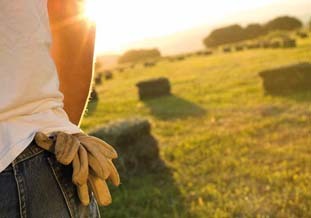 For a tractor designed for very specific uses such as the Frutteto, the attention paid to the design of the driver's seat is crucial. All Frutteto models boast low noise levels, top-class ergonomics and ease of use as standard. However, the amazing versatility of the Frutteto lies beyond its purely mechanical, technological or special features. Indeed, there is one detail that really makes all the difference, satisfying even the most exacting of specific needs - namely, the diameter of the tyres, and consequently, the ground clearance of the platform. Mounted on silent-blocks, the platform is wide and designed to fit with the tyres mounted on the tractor. In accordance with the various versions of this machine, the Frutteto can be fitted with tyres on 24" or 28" rims, with the latter available when the cab is installed too. And what about the new design? The livery has been completely redesigned, marking a new style milestone for the SAME Frutteto. The curved hood and nose allow the Frutteto to pass safely and easily between even the most narrowly-spaced rows, without damaging the crop. An innovative hydraulic system with 3 selectable levels and a flow rate of up to 131 l/min. 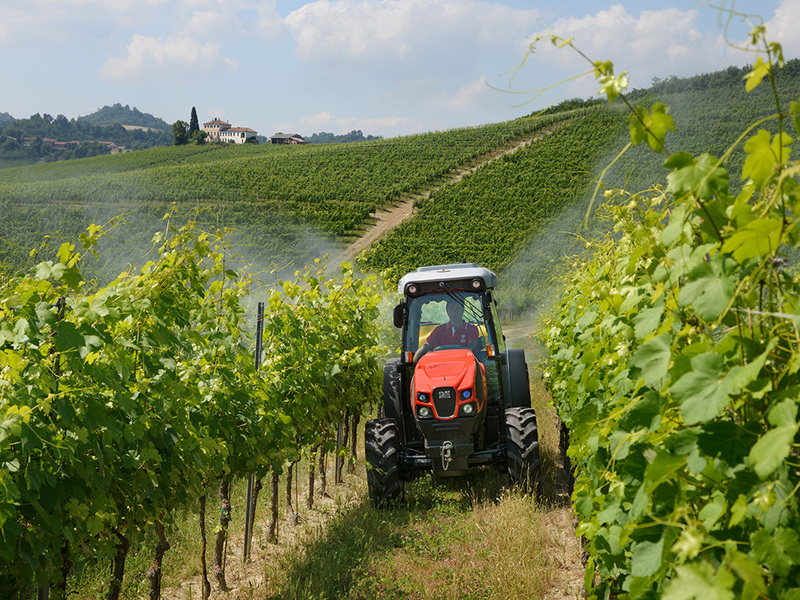 The use of hydraulic tools is on the rise in vineyards and orchards and the hydraulic systems equipping specialised tractors are crucial for obtaining professional results. 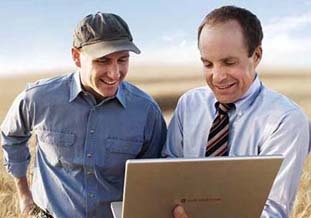 To be competitive, a hydraulic system must offer the following characteristics: high, programmable flow rate; precise, rational distributor management; an adequate number of both front and rear hydraulic couplers; the ability to assign multiple functions to a single controller and, above all, modular, settable levels allowing the machine to be configured to meet the needs of the customer. SAME has stepped up to the challenge with the Frutteto and with three new specialised hydraulic systems:High-Flow, Power-Flow and Setting-Flow.